A heart-warming journey of discovery, as orphaned chick 'Birb' sets off to find his true origins. Follow this cheerful little bouncing bird who revels in singing, and guide him through this magical journey of stunning pixel art and gorgeous animation that shapes itself to your musical interactions! Chirp to activate platforms, and sing to the residents of the forest, learning new notes to aid you in captivating rhythm battles against the creatures of this sprawling, enchanting world. 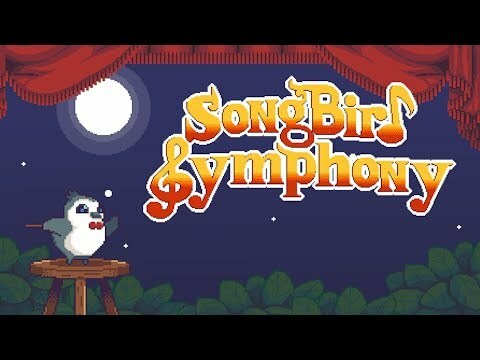 The upcoming Songbird Symphony PC, PS4 and Switch release date is July 25, 2019 in the US and the UK. Notify me when Songbird Symphony is available.